“Wonderful accommodation in a lovely setting. Appreciated the facilities for disabled Mum, who thoroughly enjoyed first holiday, will definitely recommend.”– Dunbar family, Basingstoke. “Idyllic – what more can we say? 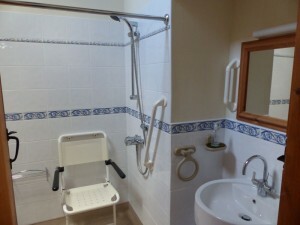 Beautiful accommodation especially for the disabled”. 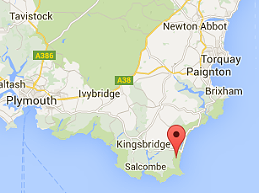 Jane, Jim & Kate, Herts & Cornwall. To read our Access Statement, please click here. 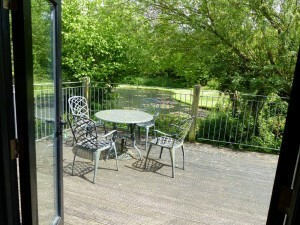 The Linhay is a single storey cottage with M2 National Accreditation ie. it is suitable for someone who needs to use a wheelchair some of the time. 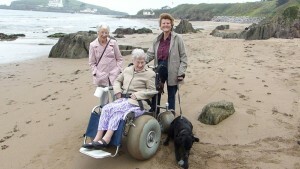 Many guests tell us it is their favourite wheelchair access cottage in Devon. The Dairy does not have a National Accreditation but has a small downstairs double bedroom with ensuite wetroom which meets the former Category 2 disabled access criteria. For a full description about our holidays for the disabled please click through to our Access Statement. Beeson Farm Cottages with its stunning location and facilities provides great holidays for the disabled. We make every attempt to ensure our disabled holidays can be enjoyed by all but advise that you contact us to discuss your particular requirements so we can endeavour to make your stay as enjoyable as possible. 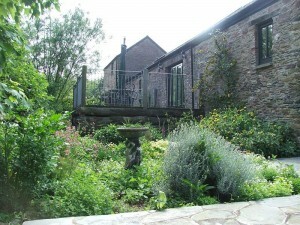 Feather & pet free & wheelchair access cottages available. For those guests who are allergic to pets and feathers we have the Linhay cottage available.